I rashly said yesterday morning that I thought that the upcoming Korean / British poetry collaboration coming up in June was the first London event in the UK/Korea Creative Futures 2017/18 programme. I was wrong. It was announced last night at the V&A that their Contemporary Korean Ceramics exhibition, which opens today, is officially the first event. The detailed notice of the exhibition from the V&A website is presented below. 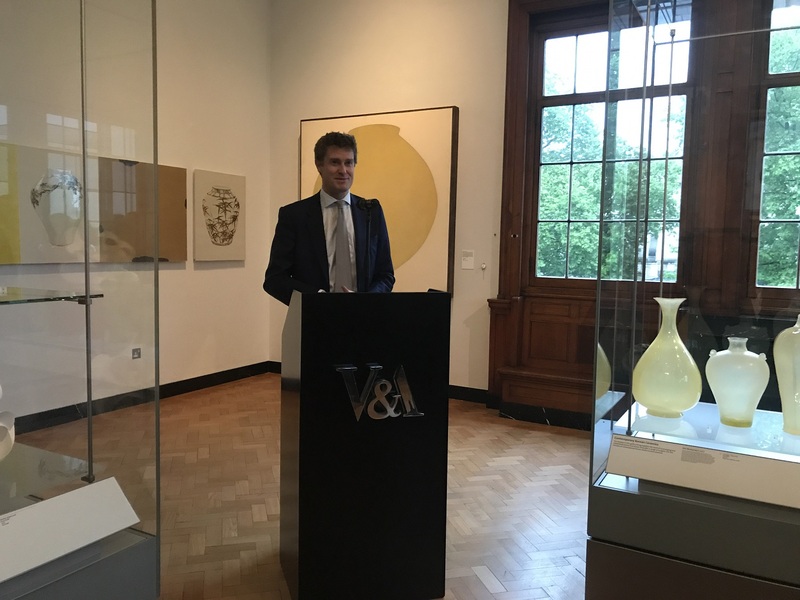 But before that, here are a few photos of the opening evening, with speeches V&A Director Dr Tristram Hunt, KCCUK Director Hoseong Yong and Fondation d’entreprise Bernadaud Director Michel Bernardaud. The exhibition lasts until next year, and some of the works have been kindly donated by the artists to the V&A collection. The exhibition can be found on the top floor (level 6) in the south east corner of the building – at the very far end of the ceramics galleries. By bringing together the work of 15 emerging and established artists from Korea, this display offers a diversity of insights into the richness of contemporary Korean studio ceramic practice. A number of these artists have studied abroad and several of them enjoy an international reputation. Some are inspired by historical Korean ceramics such as inlaid celadons from the Goryeo dynasty (918-1392) and buncheong ware and white porcelains of the Joseon dynasty (1392-1910). 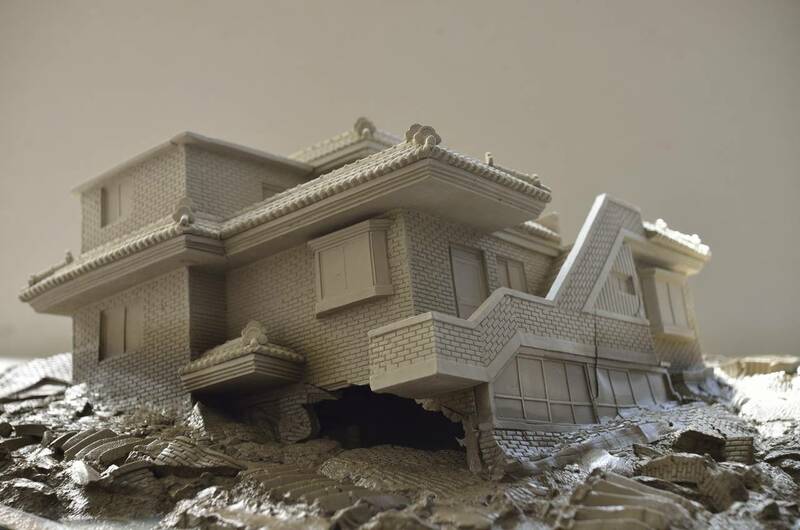 Others experiment with new technologies and alternative materials, or use ceramics as a medium to engage with contemporary issues ranging from mass-consumption and pop culture to the destruction of Korea’s architectural heritage.